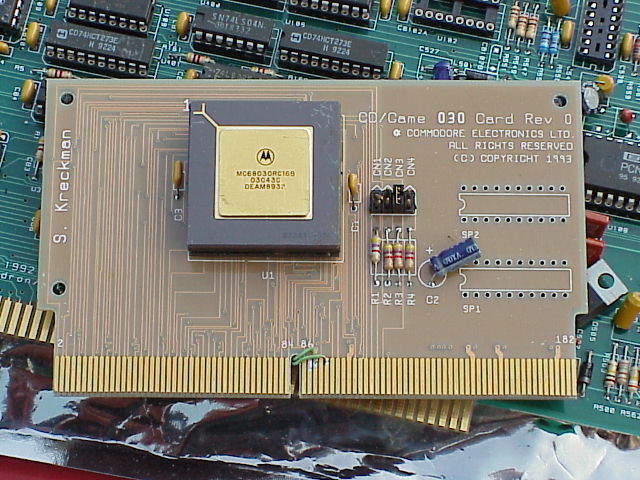 An accelerator for the CD32. The picture show here is of a prototype versions which unfortunately is non-functional. As far as I know this card never reached the final production stage and so was never released to the public. Parts of this page are (C) Harv Laser and Ryan E. A. Czerwinski and are used with permission for inclusion in "The Big Book of Amiga Hardware"